Hilton Rose Hall Resort & Spa is an all-inclusive, beachfront Jamaican resort with world-class amenities and top-class services. 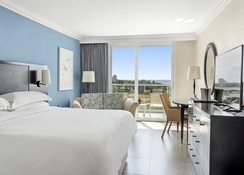 Recognized in the country as well as across the globe as a true gem of the hospitality industry, the hotel has undergone extensive renovations in the recent past. 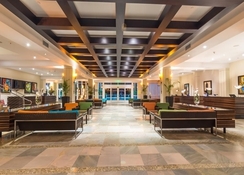 Presently, it has a total of 7 upscale restaurants, bars and grills. There is also a private beach with a water sports centre and a waterpark with a number of exciting rides. The Soothe Spa of the hotel is perfect for massages and beauty treatments, while Cinnamon Hill Golf Course is perfect for the aficionados of the game. 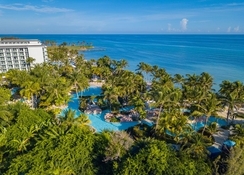 The best part of the hotel is that it offers a single all-inclusive program with one-service level, which ensures upscale streamlined service for each and every guest. The hotel also plans to open a terrace restaurant, along with a bold new oceanfront restaurant. Situated on the shores of Montego Bay in Jamaica, Hilton Rose Hall Resort & Spa has the perfect location. There are plenty of outdoor activities to enjoy at the nearby Martha Brae or Dunns River Falls. The Montego Bay, which is situated at a distance of about 16 km from the hotel is a popular port town, famous for dolphin watching and snorkeling. The Sangster International Airport is just a 15-km drive from the property. The rooms at Hilton Rose Hall Resort & Spa combine comfort and style in order to bring a unique experience of accommodation for all its guests. All the rooms and suites come with spectacular views, large areas and a range of facilities and amenities. They include features such as single or double beds, free Wi-Fi access, pillow-top mattresses, pillows in fine linen, flat-screen television sets, in-room safes and spacious en-suite bathrooms with spa toiletries. 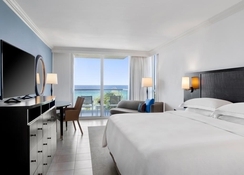 The Oceanfront suites feature master bedrooms, parlour rooms and additional bathrooms. 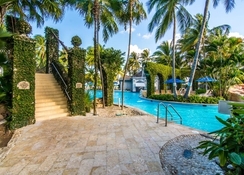 Hilton Rose Hall Resort & Spa is an all-inclusive resort. 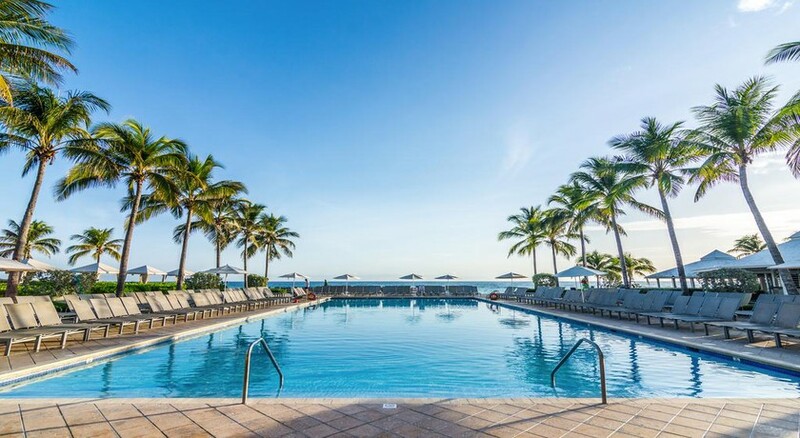 Guests can enjoy gourmet cuisine, unlimited premium drinks, world-class service and amenities, along with unlimited non-motorized water & land sports. Children under 5 stay and eat free. To tingle the taste buds of its guests, the hotel offers a host of restaurants. In addition to the existing ones, the hotel plans to open two new ones. The first one is a terrace restaurant, which seats 60 persons and serves breakfast and lunch. The other one is a bold new Asian fusion restaurant, which will serve lip-smacking Japanese, Teppanyaki and Sushi dishes. It will come up by January 2018. Additionally, the existing Seaside Bar & Grill is also being expanded. Upon completion, the two restaurants will offer superbly romantic dining locations, overlooking the picturesque Caribbean Sea. There are plenty of things to do in Hilton Rose Hall Resort & Spa. Enjoy a relaxing massage at the legendary Soothe Spa or go for one of the special beauty treatments at the hotel’s full-service hair and beauty salon. For all the golf lovers, there is Cinnamon Hill Golf Course, a 400-acre, 18-hole golf course designed by Robert Von Hagge, the famous golf course architect. The countryside is great for outdoor sports such as rafting, nature walks, adventure tours and so on. The nearby Sugar Mill Falls Water Park is one of the most loved waterparks in the Caribbean. 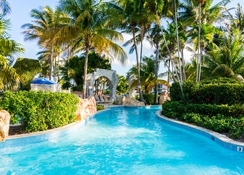 It has cascading waterfalls, lagoons, terraced pools and plenty of water rides to keep your kids entertained, Overall, this is a fine hotel for the whole family for the summer holidays.